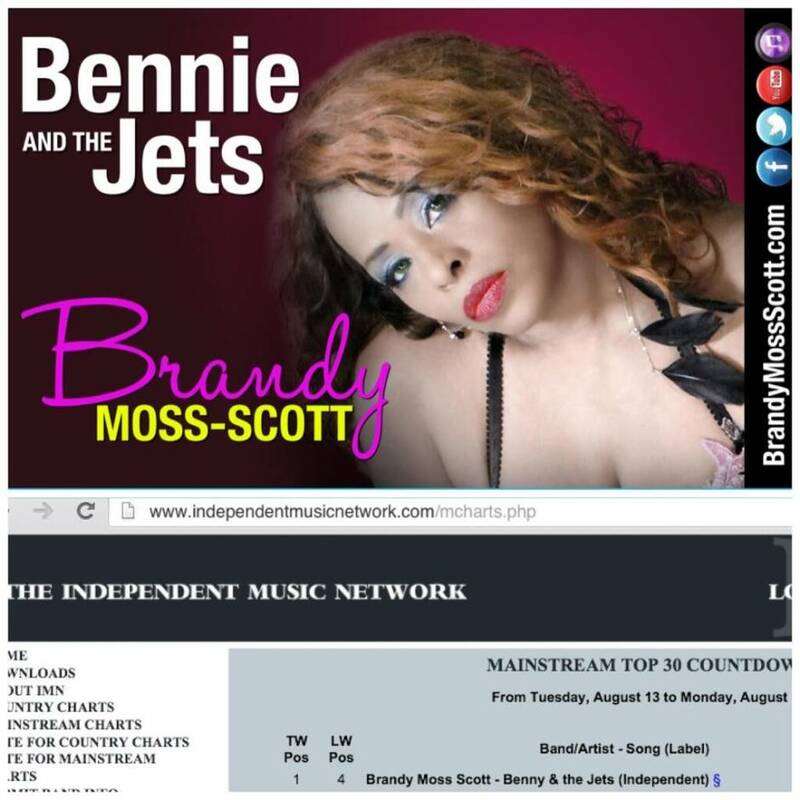 Brandy Moss-Scott hits #1 on the Independent Music Network, Mainstream Charts with her latest cover of ‘Bennie and the Jets” originally released by Sir Elton John. The Billboard, Grammy Nominated and Guinness Award-winning diva gives her own spin to the song making it fresh and new. With a Bennie Hip Hop Mix coming soon. Brandy has brought Bennie back and made it better than ever by topping the charts. . In 2002 Brandy was awarded as the First Independent Artist to debut at #1 on the Hot R&B Singles Sales Chart. Following a second Chart topping debut 2 weeks later with the same song, I Don’t Really Know. Brandy Moss-Scott has since then been awarded a Guinness World Record along side Obama, Elvis Presley, Jay-Z, and Eminem for ‘The first independent artist to debut at #1 on the Billboard Hot R&B Singles Sales Chart’, with her single ‘I Don’t Really Know’ on June 22, 2002. Brandy’s recent release of Elton John’s ‘Bennie and the Jets’ debut at #34 on the Independent Music Network, Main Stream Charts and has launched to #1 from being at #4 last week. Brandy’s fans have shown continued support in her successful music career around the world. As Brandy prepares to launch her new single FAKE on iTunes she recently released a sinppit of the Music Video via Youtube during an interview. She is gaining great momentum through online sales and exposure.